About a week before I left Dallas to spend the summer on the west coast, the people of Istanbul began a revolution and everyone I knew was asking me about it. By the time the protests started, I’d relocated to the home of another friend who has family members in Istanbul. Speaking to them about the history of Turkey did give me great insight into what was happening in Istanbul and other cities. Several weeks before the protests began I signed up with the U.S. Department of State’s STEP Program (Smart Traveler Enrollment Program) as a soon-to-be expat. This free service not only informs the Department of State of my whereabouts when I move, but also gives me information about the nearest U.S. embassy or consulate offices and emails me any travel warnings for the countries I select. I also joined two online groups: Professional American Women of Istanbul and Foreign Women of Istanbul. Moreover, my new school has connected all the new teachers through email and I’ve been assigned a buddy! Through these groups of people I’ve been able to stay very informed and I can assure you that I’m not worried, but still excited, about my upcoming move to Istanbul! There were many going away lunches, happy hours and coffees during the last week of school. One can never have too many friends and because I am fortunate to have many, I was out late every night before I left. I was showered with attention and my art department even sang a song to me! The re-written song lyrics followed the tune of Paul Simon’s 50 Ways To Leave Your Lover (which is also the name of one of my previous articles) but was called 50 Ways To Make a New Life. When I arrived in California, I was worn out but seeing my daughter’s cool new apartment totally revived me! This historic building was likely built between 1920-1930 and has such charm! 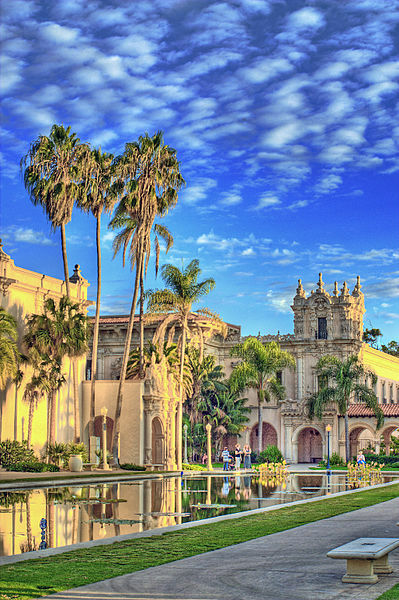 She is within walking distance to Balboa Park, which not only houses the famous San Diego Zoo but also many museums, gardens and historic buildings. We’ve spent time catching up after living apart for four years while she attended college. I realize that it is sometimes necessary for newly graduated college students to move back in with their parents, but I don’t often hear about parents who move in with their new graduates! We’ve already started filling our calendars. This is going to be a summer of fun! On Saturday we’re going to the Annual Surf Dog Competition and on Sunday we’re going to the Grunion Run. I’ve discovered the Balboa Tennis Club and have signed up for a series of clinics. There are home tours, organic farmers’ markets, ball games, concerts, museum installations and tours and tastes of Stone Brewing. A summer of fun awaits! Hello, Kate! Thanks for reading! Hi, Linda! Thank you for reading my blog. My hope is that I can be an inspiration for many who have dreams of their own. It will be hard to leave California, for it suits me well, but quite an adventure awaits! You only live once! I hope you’ll keep reading. Thank you for your support! Thanks for reading, Kathleen! I hope your summer is fun too! Hey, T! I’ve missed communicating with you too! Things are settling down a bit now, thank goodness! Surf Dogs, right? Can’t wait…yes, pics for sure! Have a lovely summer yourself!